It isn’t your first time to hear about a house near the lake or any bodies of water. 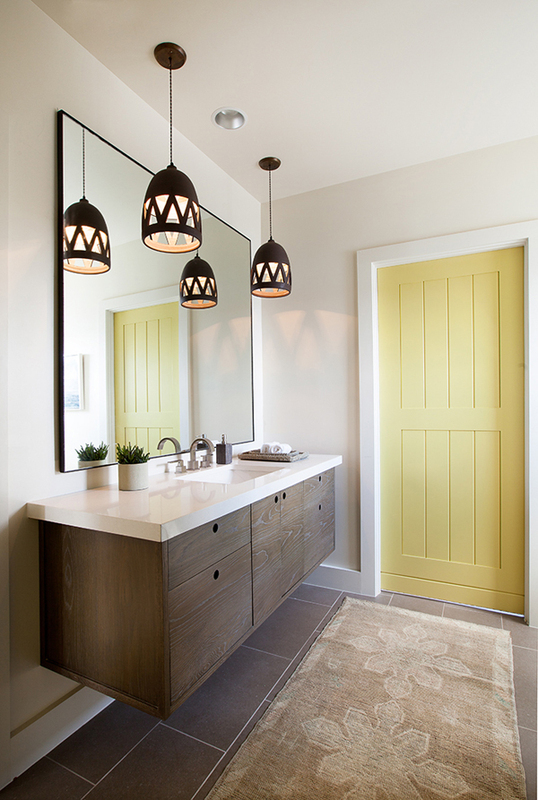 There are many homes located in these areas because of how it can add a beautiful aura to the home. But what we are going to show you today isn’t the exterior of a lake house but how it was decorated and designed in the interior. Like the other homes we have featured, for sure you will like it too. 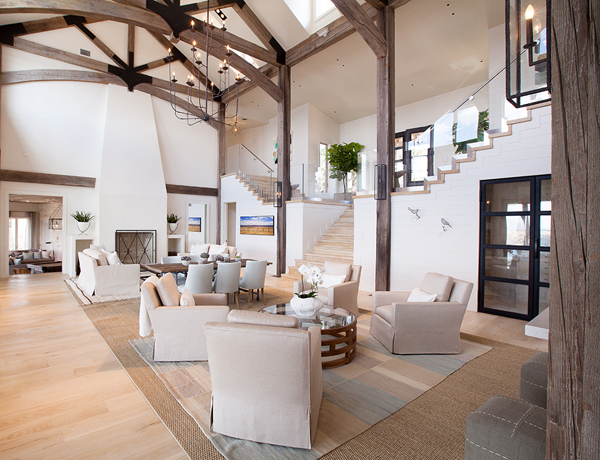 The interior had vaulted ceiling that added more space in to the already spacious home. The seating is symmetrically arranged creating a warm and sophisticated ambiance in front of the fireplace. In the hallway just near the grand stairs is this seating area with a lovely wall decor of branches and birds made from wire. 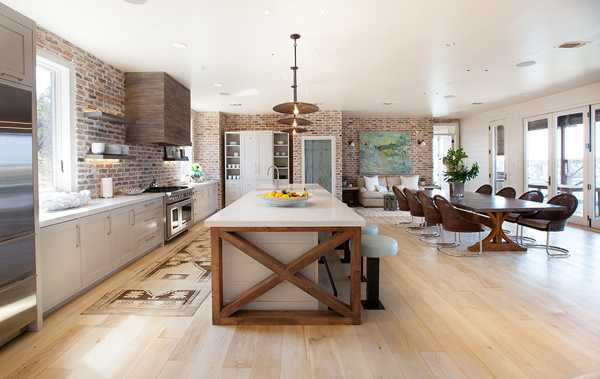 The open plan kitchen has exposed brick walls and light wood flooring. It also has a large island with built-in barstools. Meanwhile, in the dining area that is just opposite the kitchen are French doors that can be accessed towards the outdoor area. 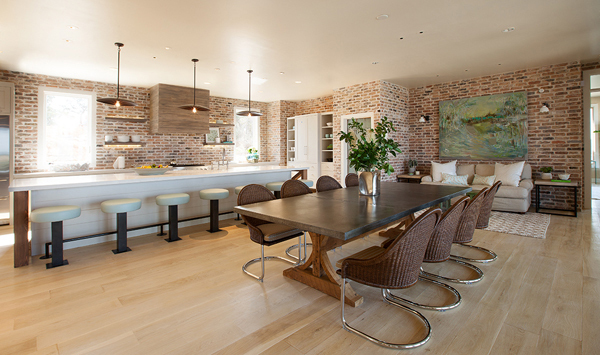 From this area, you can see the beautiful brick walls of the kitchen. And it has a mini bar too. 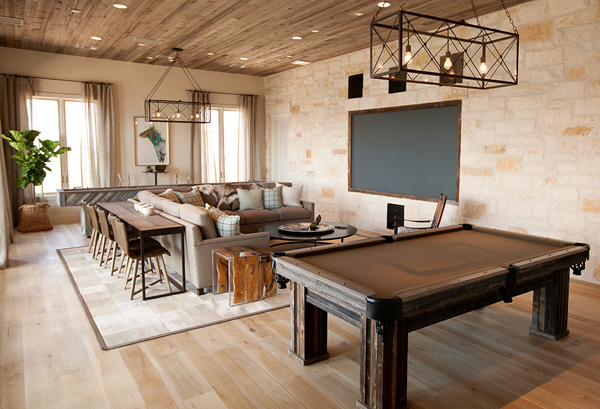 In the media room, the stoned wall adds more drama as it matches well with the flooring and all the other items in here. 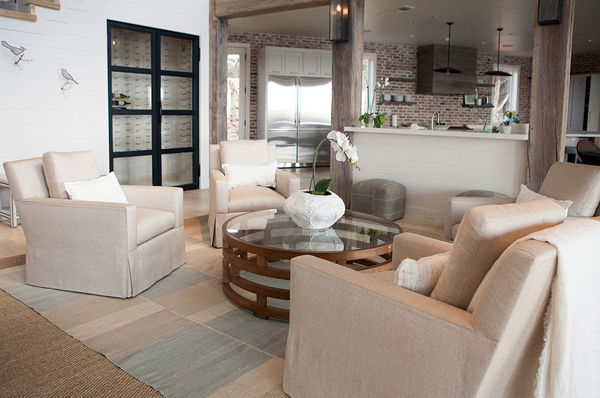 The colors used in the interior is all the same bringing relaxation all throughout the space. This could be the foyer with a desk made of glass and faces a glass window. Love the addition of that organic jar with a plant. 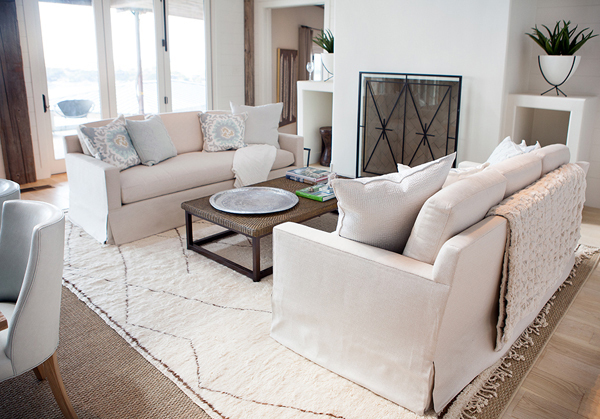 Who wouldn’t love the white and cream combo of this living area? There is also a lovely mix of textures in here. 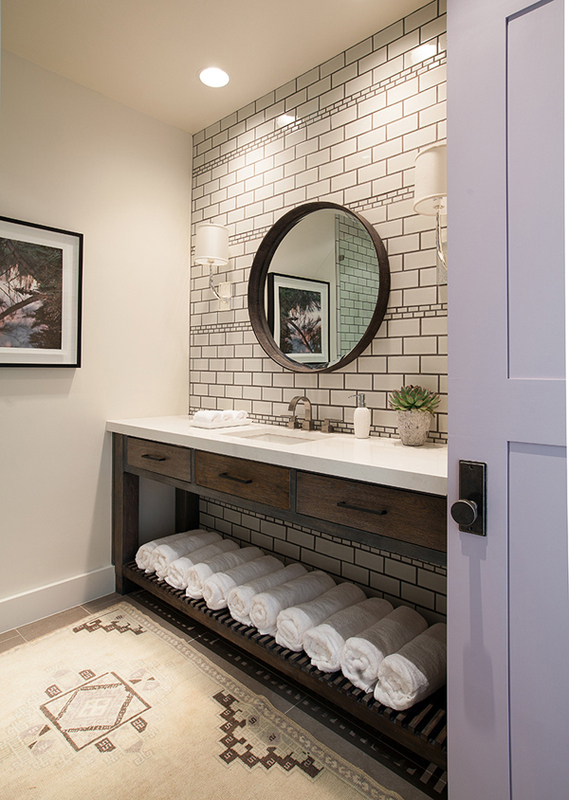 For the bathroom, classic tiles were used for the walls which looked good with the vanity. 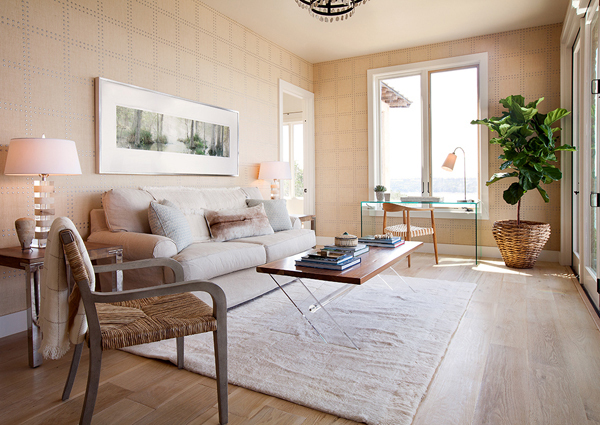 One bedroom in the house has one area of the wall covered with upholstery for a soft decorative piece. I can tell this is a bathroom of the bedroom above because of its design. I like the texture of the cabinet’s facing. More people could occupy this bedroom with modern colors that still bring in the feel of nature. This seems to be a place for boys. 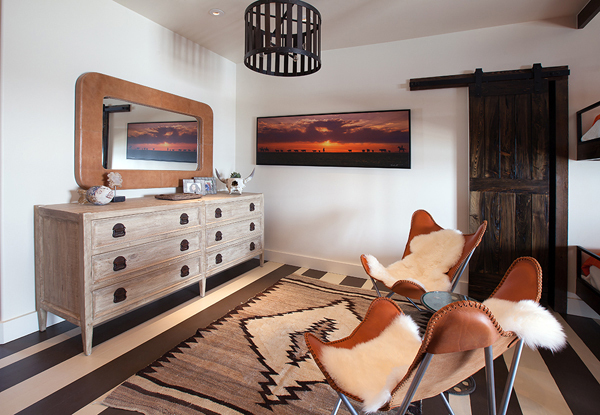 And I love these two chairs here that sit on an area rug. 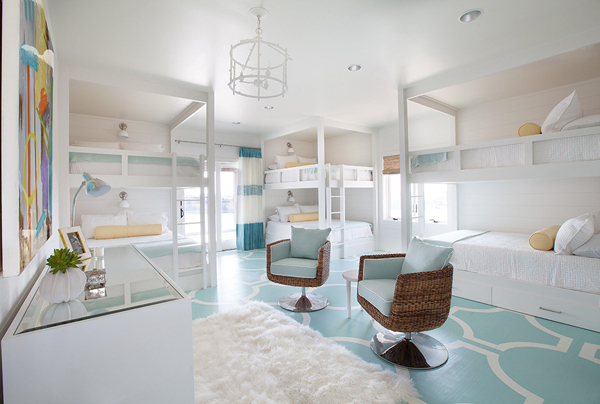 The flooring has striped paint too that complements with the beds. 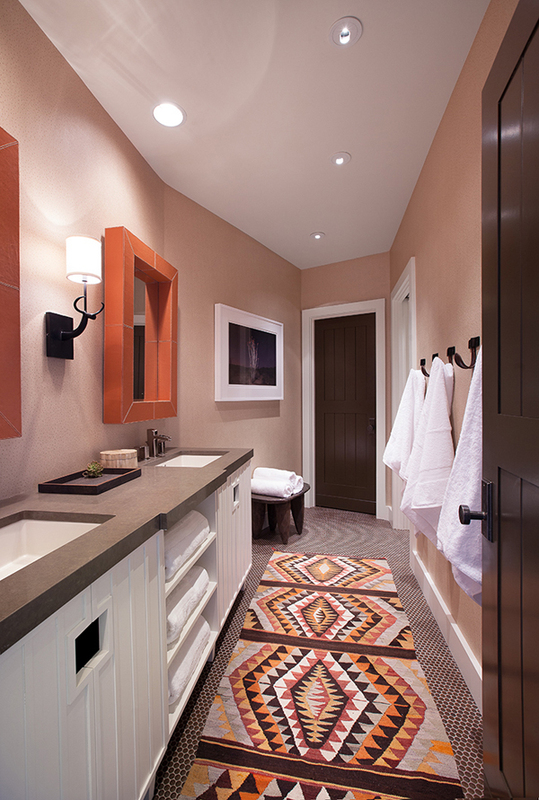 You can see a lovely mix of patterns for this bathroom and this could be for the occupants of the bedroom above. This is a cute bedroom perfect for ladies with its soft colors in green pastel and white. 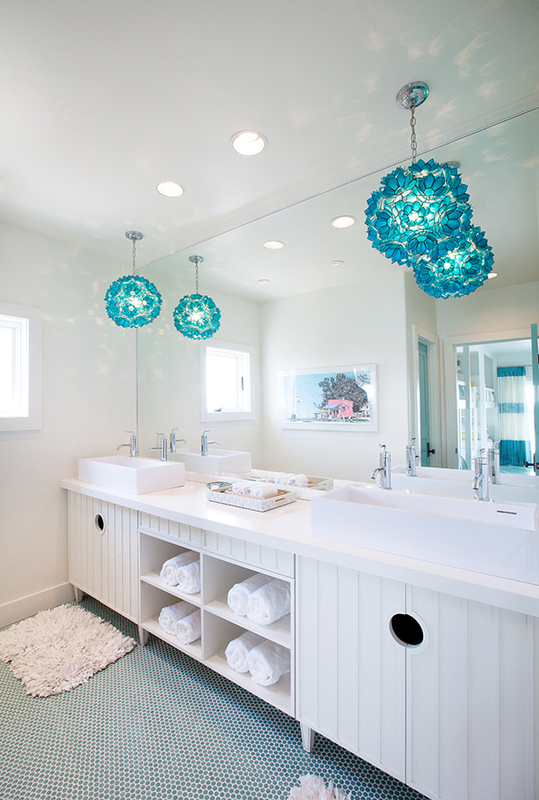 And this could be the bathroom for the girls with blue accents too. 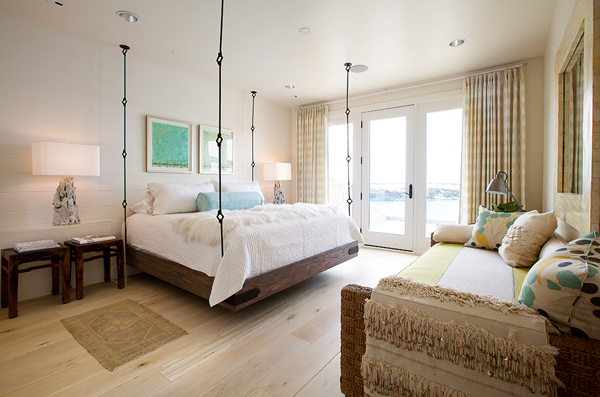 I’d say this bedroom is gorgeous as the bed is suspended from the ceiling and a day bed is on the other side. I know we are thinking the same. 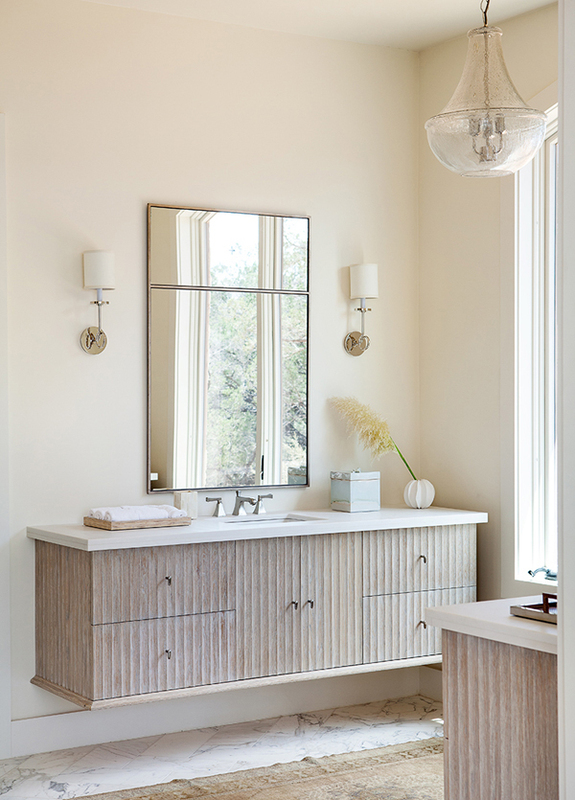 That pair of shell pendant lights are just beautiful! 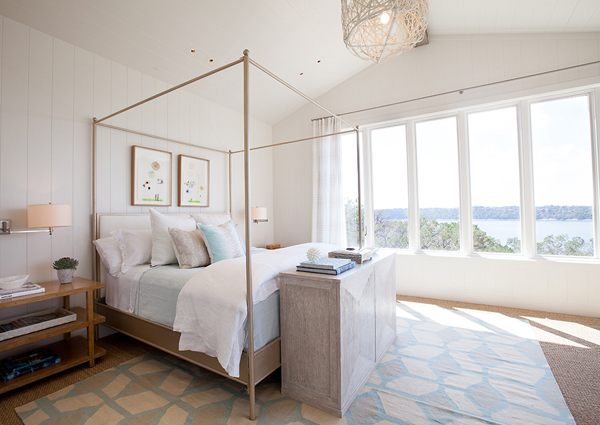 The bedroom has modern patterns on the carpet and the colors in it are spread in other areas too. Now that is a flooding of natural light from the window! 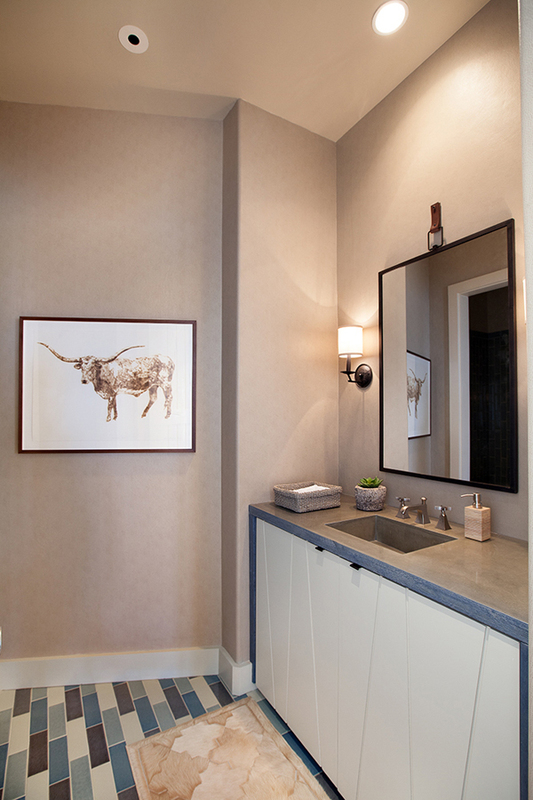 A small bathroom is what you see here that looks just perfect with the bedroom above. 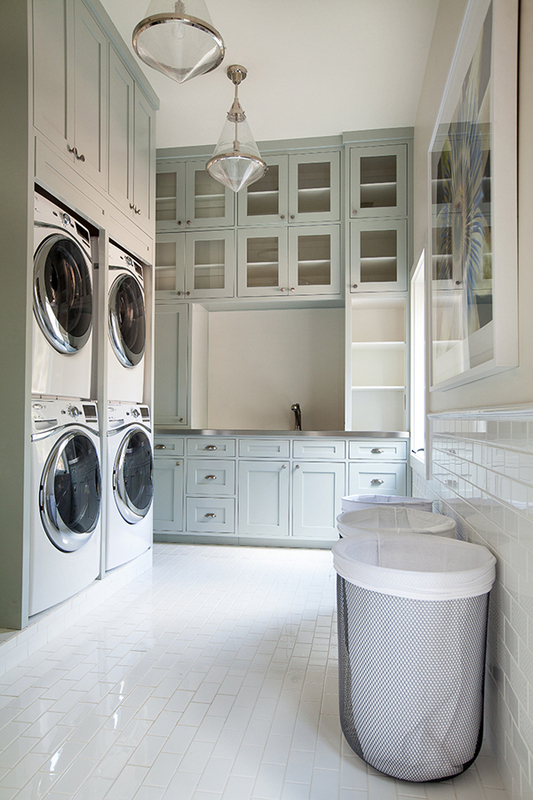 The laundry area is clean and organized. Like the laundry baskets here too. 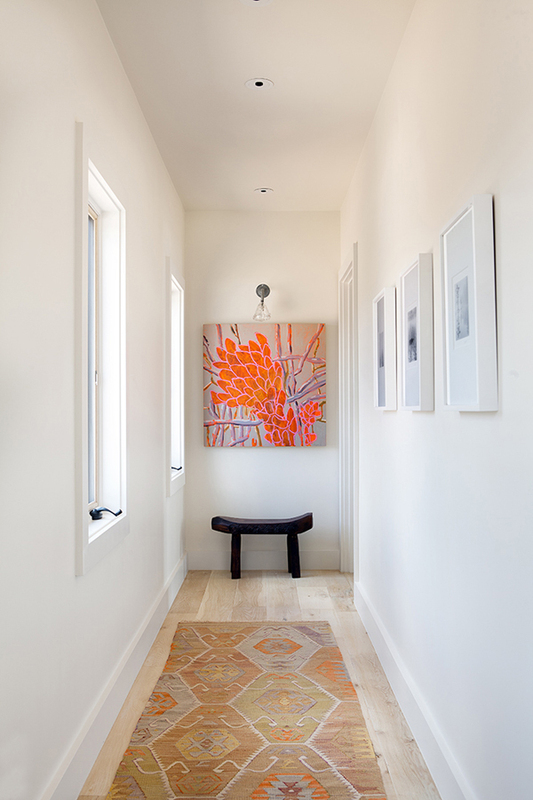 Instead of a boring hallway, adding a wall decor and a bench will be a good idea. Very relaxing, right? This is the kind of house where you could rest and relax with the beauty of nature around you. 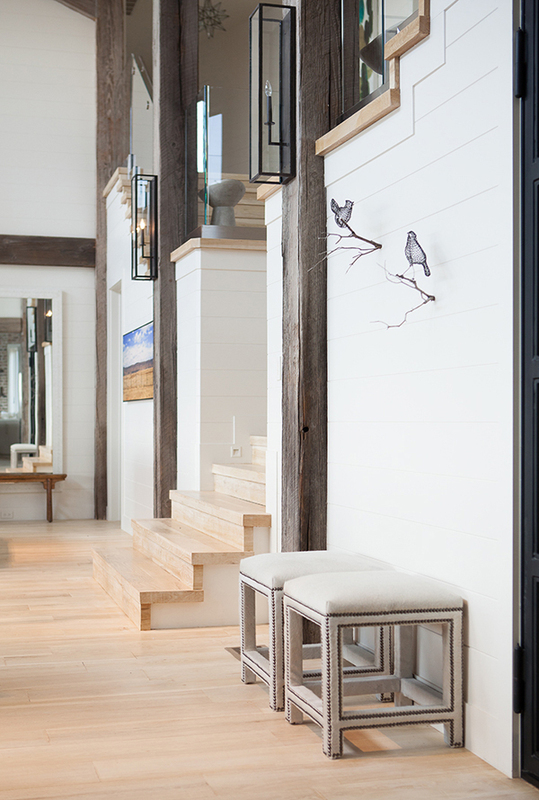 While inside the house, you can also feel nature embracing you because of how it was designed. 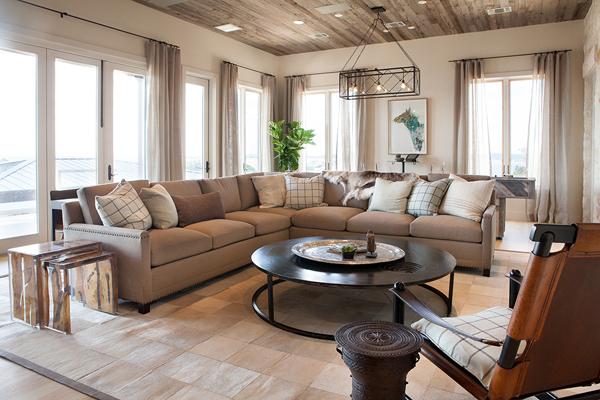 This interior is done by Tracy Hardenburg Designs using lovely warm color scheme. And the way they did the entire house was amazing. This is the kind of home I’d go into if I want to de-stress!